Manufacturing quality dairy mixes is all that we do, and for 50 years we have strived to be the best. Whether it’s ice cream, frozen custard or unparalleled soft-serve, Meadowvale aims to be the cornerstone of every one of its clients’ businesses, focusing on two critical elements to making the best: quality ingredients and the skill to combine them to make something great. For five decades we have focused on this simple principle. Why would anyone choose anything less? 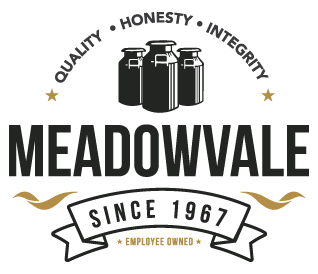 As an employee owned company, Meadowvale understands the challenge of running an independent business. We consider our customers as our partners. By providing operational expertise in addition to quality products, impeccable service, high standards of business ethics and leadership, we focus our efforts toward our partners’ bottom line as if it is our own. (Security Question) What is 2+2?